Sunday Service: We open our doors at 11:45am. Service begins at noon. Cross the BROOKLYN BRIDGE into Brooklyn, continuing down Brooklyn Bridge Boulevard and turn left on Tillary Street. Turn right on Flatbush Avenue, make another left on Myrtle Avenue and continue down to Marcus Garvey Boulevard (Sumner Avenue) and make a right. When reaching Lafayette Avenue make another left until arriving at Lewis Avenue. Potter’s House is located where Lewis and Lafayette Avenues intersect. Cross the WILLIAMSBURG BRIDGE into Brooklyn and turn right from Broadway onto Stuyvesant Avenue. Make another right on Van Buren Street and one more right on Dr. Sandy F Ray Boulevard/Lewis Avenue. This will lead you to 148 Lewis Avenue. Take the VAN WYCK EXPRESSWAY towards Kennedy Airport. 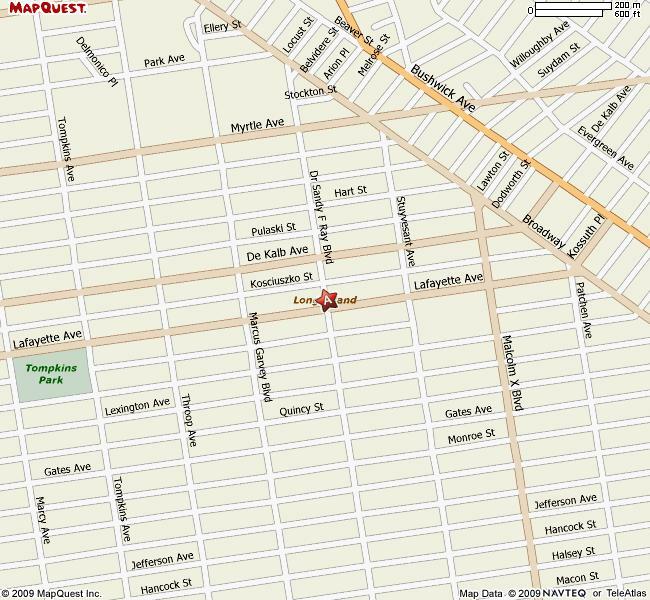 Continue towards Myrtle Avenue/Woodhaven Boulevard and turn right on Forest Parkway. Turn left on Myrtle Avenue, take it down to Ditmars Street and make another left. Turn right on Broadway, make another left on Vernon Avenue and one more left on Stuyvesant Avenue. Turn right on Van Buren Street and turn right one final time onto Lewis Avenue. Stop on the intersection of Lewis and Lafayette Avenues. Take the A or the C train to Utica Avenue. Use the Fulton Street Park Exit. Walk one block to Troy/Lewis Avenue, take the B15 bus to Lafayette Avenue. The church is directly across the street from the bus stop. Alternately, you may take the J train to Kosciousko St. Exit through staircase on right hand side. Cut through parking lot to Lafayette Ave., walk three blocks to Lewis Ave. Church is directly across the street.